There is only one Everglades National Park. It is in Naples and Marco Island backdoor and a UNESCO World Heritage Site and one of the most unique ecosystems on the Planet. It has been said, "The Everglades are a test. 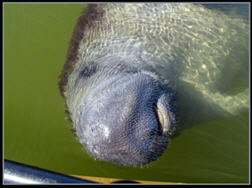 If we pass, we can keep the planet"
Led by Florida Master Naturalists, these kayak eco tours depart daily to the beautiful 10,000 Islands of Everglades National Park, in the habitat of manatess, dolphin, sea turtles and vast numbers of wading and shore birds. We launch from Chokoloskee Island, the closest access to the Everglades National Park. The tour routes that we choose vary daily and seasonally. 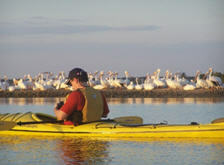 You may paddle to a rookery where hundreds of wading birds nest in a colony; find yourself surrounded by feeding manatees or dolphins; walk on a Calusa Indian shell mound, thousands of years old; or paddle with the tidal currents up a river to view endangered roseate spoonbills or small toothed sawfish. You will meet your Florida Master Naturalist Guide at 238 Mamie St. on Chokoloskee Island and simply walk to our launch site. 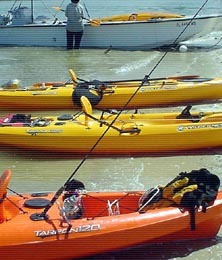 Single and double kayaks are available on every tour. Enjoy lunch before or after your tour at a local seafood cafe or, combine this Everglades National Park Kayak and Eco-Tour with an additional tour!